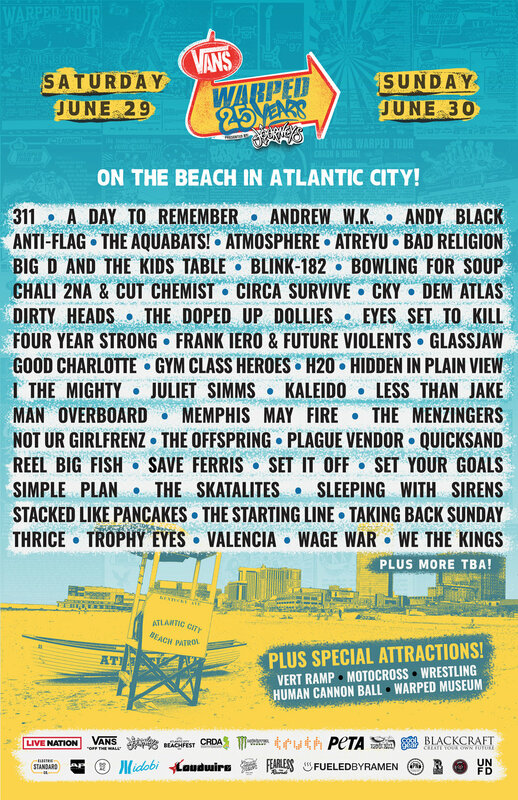 H2O will be playing the Vans Warped Tour 25th Anniversary celebration this summer in New Jersey alongside Blink 182, Andrew WK, The Offspring, and many many more. H2O will be kicking off their latest European excursion this week in Zurich for Impericon Festival on the 21st. The tour will be continuing through May 5th in Barcelona. For more information on each show, please visit the band's artist page HERE. H2O will be touring in support of their latest full-length album, Use Your Voice. After a crazy East Coast weekend, H2O is heading to the Midwest and California to play their debut, self-titled LP from 1996 straight through, in December. WISDOM IN CHAINS joins them on their West Coast shows and BURN joins them for their Midwest dates! If you're a fan and in the area, DON'T MISS THESE SHOWS! H2O have announced three 20th anniversary shows for their 1996 self-titled debut album, all taking place in the northeast. Wisdom in Chains and Vision will open all the gigs. Check out the dates and ticket links below. The band released Use Your Voice last year. H2O have been tapped to open for Pennywise in Mexico for a couple gigs. Check out those details below. H2O bassist Adam Blake recently appeared on Ray Harkins' 100 Words Or Less Podcast to have a conversation about his life in music, manifesting one's own destiny and personal training. It was just released and you can check that out here. H2O's new album Use Your Voice is out now and available at B9Store.com. H2O's 'Use Your Voice' out now! H2O's Use Your Voice is officially out today!!! After seven long years, support the band and their new album and pick up a copy from one of the smart, tastemaking stores listed below. If you can't find it, let us know and get your choice of format online (LP/CD/CS/DL/stream) from the following outlets listed below as well. Also, through the rest of the weekend we're offering the Use Your Voice CD for just $5! Get that deal atB9Store.com/H2O.